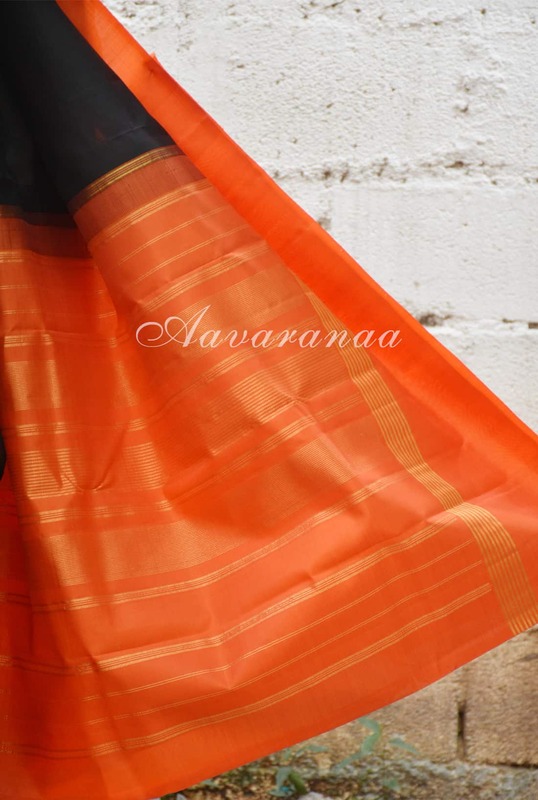 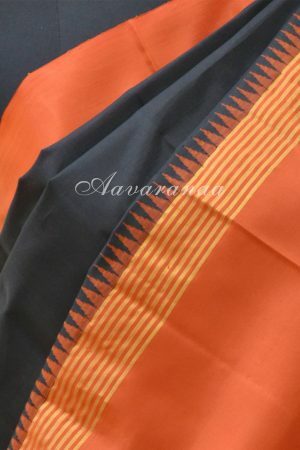 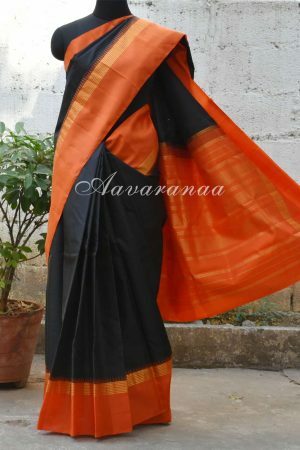 Black and orange korvai border with thin zari lines on the border. 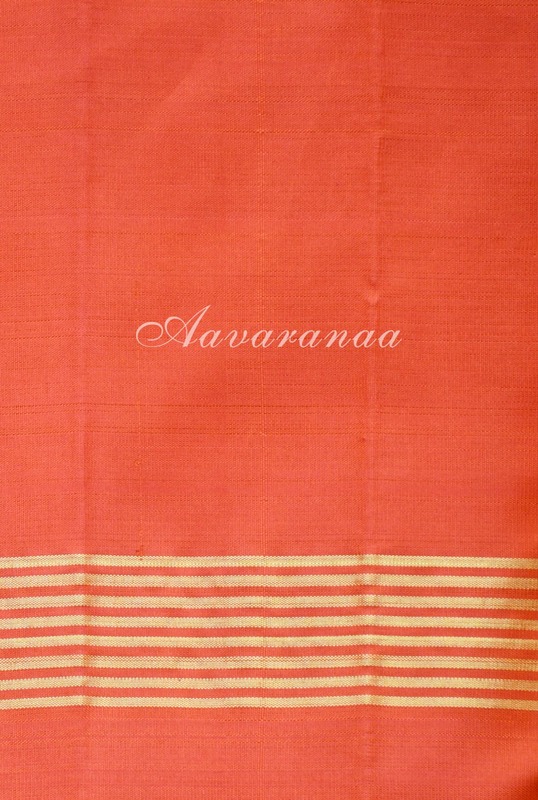 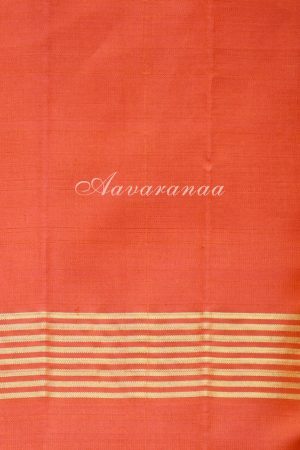 The pallu is zari woven in tradtional design. Blouse : Orange with coordinated border.